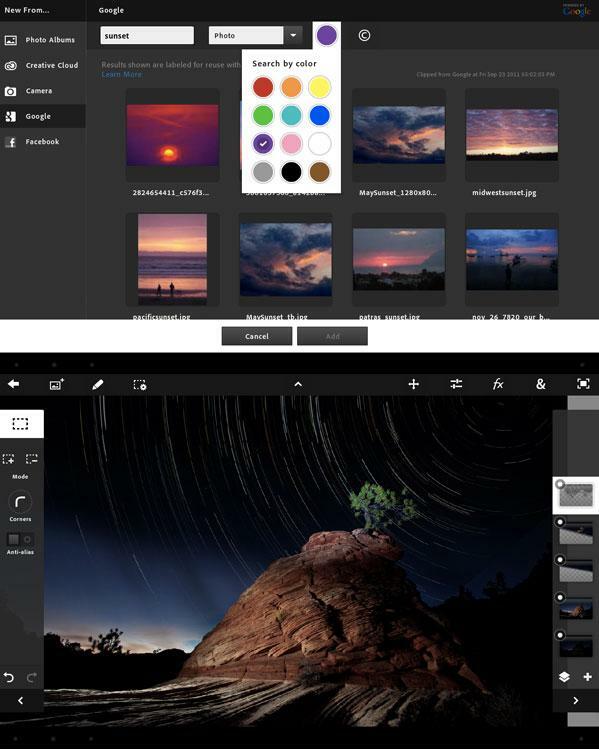 Adobe's new Photoshop Touch for iPad 2 was briefly and accidentally made available on the App Store this weekend, but the software is expected to officially launch for $9.99 on Monday. The software was briefly available for purchase on the App Store before it was pulled, but it is expected to have an official, formal launch on Monday. Adobe Photoshop Touch will not be compatible with Apple's first-generation iPad, leaving access to only iPad 2 owners. Use AirPrint for wireless printing of Photoshop Touch projects. Upload projects to Adobe Creative Cloud* and open layered files from Adobe Photoshop Touch in Photoshop CS5. Before it was pulled from the App Store, developer Steve Troughton-Smith downloaded the application and offered his hands-on impressions on Twitter. He noted that Photoshop is written through Adobe's AIR programming language, explaining why it requires more processing power from the iPad 2. "Photoshop Touch is not a bad app at all," he wrote. "It's rather good. Can't help to think it could have been so much better without AIR." 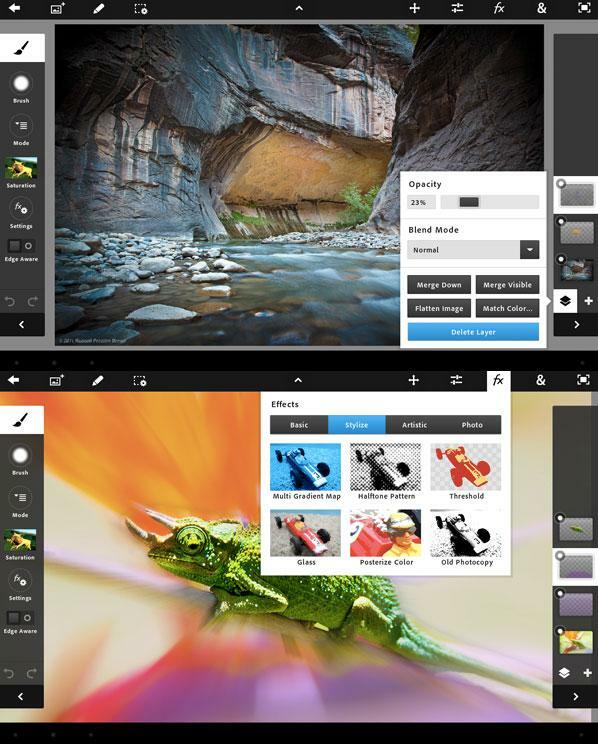 Last May, Adobe debuted a trio of Photoshop companion applications that allow users to control the desktop version of the photo editing software on their iPad. But Photoshop Touch, which launched on Android tablets late last year, is a separate application from the desktop version.